Make your personal space truly personal with this one of a kind abstract elephant canvas painting. They say creativity is intelligence having fun, and here is a visual demonstration. This painting, sketched on high quality canvas is sharp, vivid and sure to be a treat for your eyes. 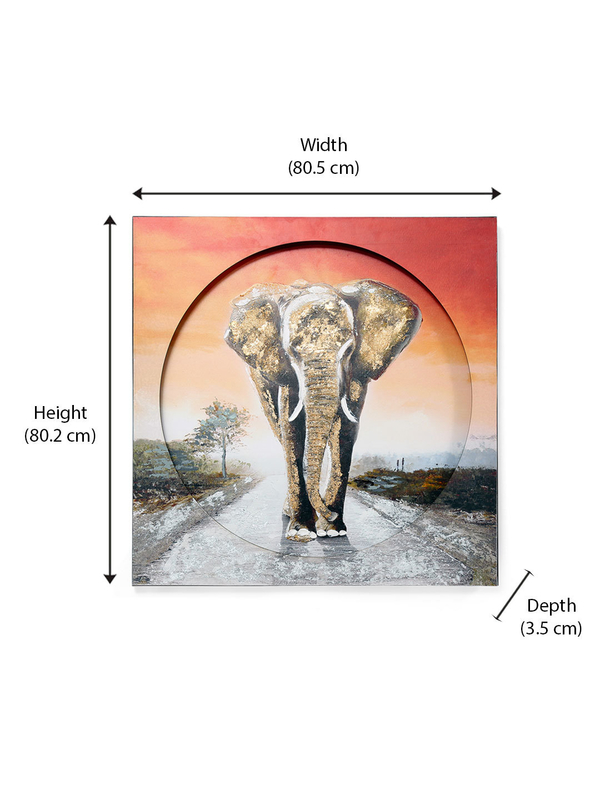 Unlike general prints, this water colour elephant oil painting is a truly unique masterpiece of well designed high end artwork. It could be the perfect wall accent piece for your living room, bedroom, kitchen, or even your office.